Summer is almost here! The Silver Peacock is here to help! Whether its refreshing a few bedrooms, or outfitting an entire home. 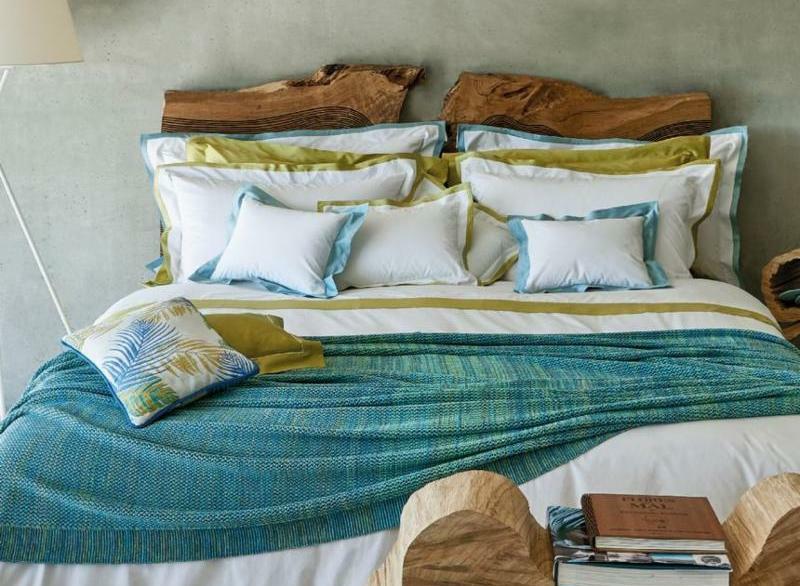 We have a large selection of tableware, linens & accessories especially suited for the more relaxed summer lifestyle .. We also offer some of the summer house essentials like, non- breakable tableware, waterproof leather baskets for pool towels and light weight blankets & throws perfect for cool evenings. We are very excited to exclusively present the collections of Celsos de Lemos. Molded Murano glass, mirrors the sea. And is perfect for a lunch at the beach. 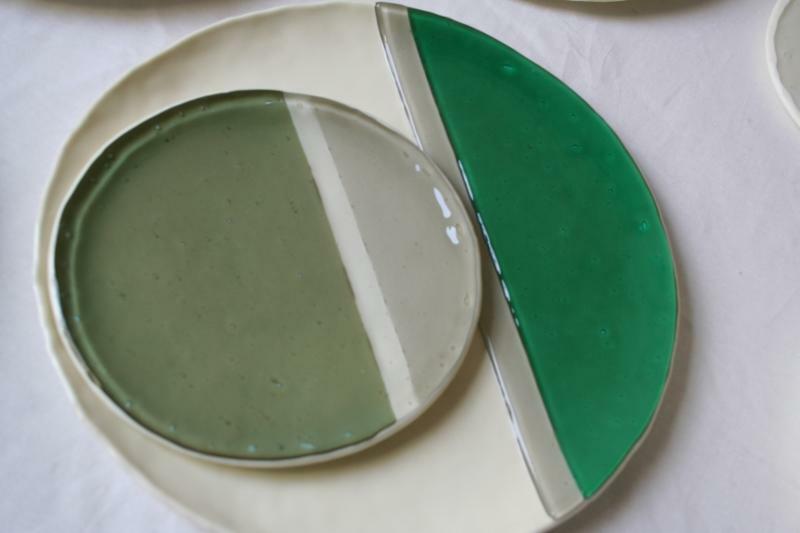 These hand made services are available in a wide variety of color combinations, and it as durable as porcelain. 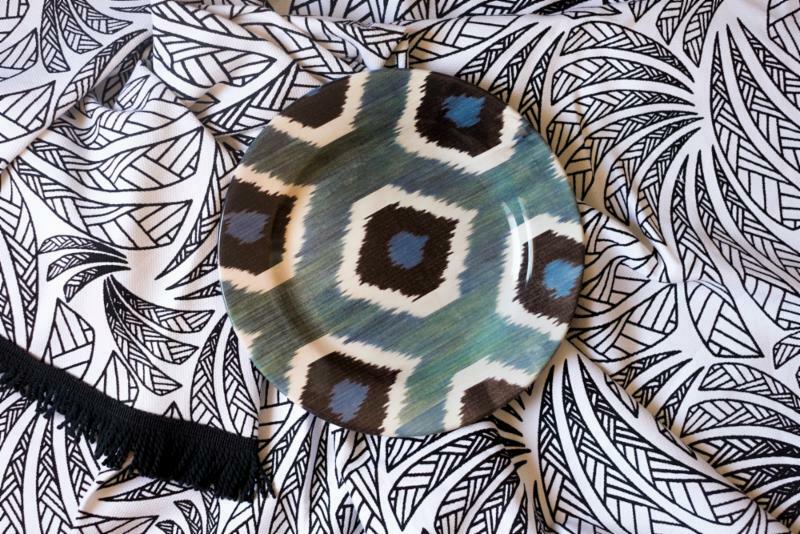 Vibrant Ikat on porcelain, hand made in Italy. Use on its own or mixed with solids! Sure to brighten up any summer table. Custom coloring available for larger services.